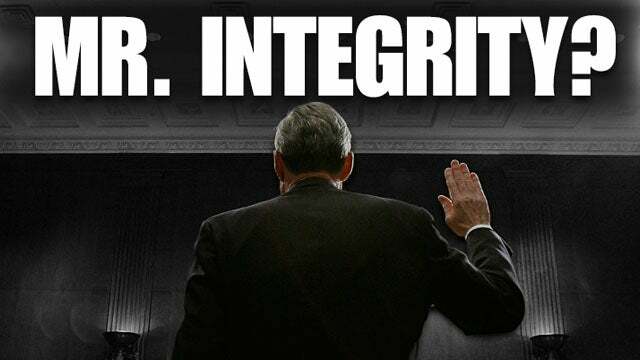 RUSH: This is a Suffolk/USA Today poll just out: Fifty percent of Americans agree that Mueller’s investigation is a witch hunt. Very few think that it is legit. In fact, Trump is tweeting “@MSNBC Very few think it is legit! We will soon find out?” Only 28% of Americans say they have a lot of trust in the Mueller investigation. The same USA Today poll finds that Fox News is the most trusted outlet in America, almost twice as trusted as CNN, and only 8% said they trust MSNBC — and yet, what’s the Drive-By Media trying to do? Shut down Fox News on the basis that it’s white supremacy or whatever the latest claim and allegation is. The fact of the matter is Trump is right: They’re just jealous. They can’t beat Fox News. They hate the fact that Fox News is the exact opposite of what they are — and it’s winning, and it’s number one, and it is dominating — and so it represents a threat. It represents a threat to journalism and how journalism is seen. It represents a threat to the dominance of the Drive-By Media. You throw talk radio in the mix, and that’s why the left is attempting to shut it down. It’s not for the claims that they’re making that Fox News is biased, that Fox News hosts are racist white supremacists, all this usual garbage.